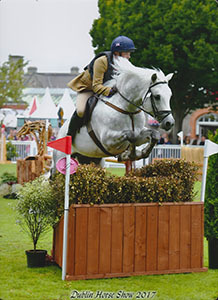 Josie Jump, who is known as “JJ” is a registered Grade I pure bred Connemara stallion who was bred in Ireland by Joseph Burke. Imported to the UK in 2015, he has a top jumping pedigree as well as being a successful competition pony himself. 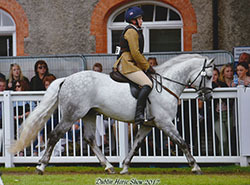 Sire: Currachmore Cashel, the 2008 All Ireland Supreme Champion, having been unbeaten all that year and winner of numerous other Championships, including the Supreme Champion at the 2008 RDS and at Clifden in 2009. He was also the 2012 French National Champion and European Champion. 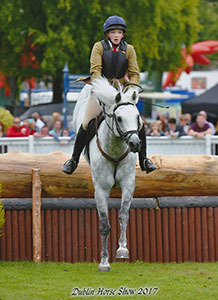 Currachmore Cashel is also proving his contribution to the breed through his progeny, who include Coolillaun Cashel winner of the 3-yr-old stallion class and junior Reserve Champion at the 2008 Clifden pony show and Lake Lad who as a yearling was Champion Suprême de Bourgogne & Champion Junior Mâle National in France in 2011. Dam: Ballybeg Maggie, whose dam has the great Carna Bobby & Mac Dara in her pedigree, is also the dam of another Class 1 stallion, Dancing Tego. 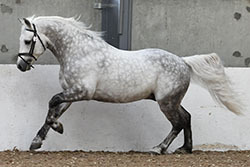 Damsire: Moy Johnny’s Pride, a descendant of both Abbeyleix Owen & Abbeyleix Fionn, is the sire of the international jumping pony Costellos Boy and the damsire of another international SJ pony, Jack the Lad. 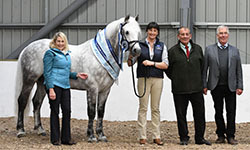 In Ireland, JJ made history by winning the RDS Performance Hunter Championships for 3 consecutive years. 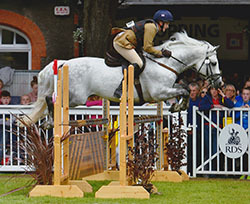 He also won the Pony Discovery Final in Millstreet 2012 & was 6th at the 2013 148cms 6/7 yr old Showjumping Championship. 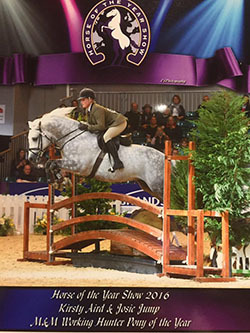 In the UK he won and was Champion at the North of England HOYS M&M qualifier and at the BSPS Scotland Finale Show won the M&M Gold Cup Final, Champion Performance Pony Scotland 2016 & Scottish M&M WHP Champion. 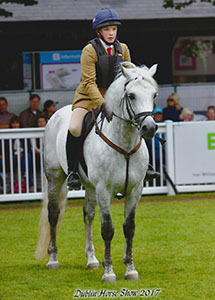 At the Scottish Connemara Breed Show JJ qualified for Blair in both the In hand & Working Hunter Pony sections. 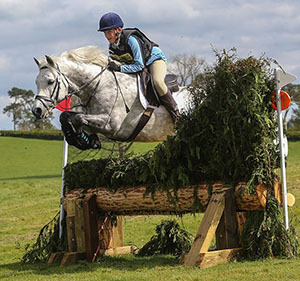 In 2016, JJ started his eventing career with his 13 yr old owner proving to be clever & scopey with a superb attitude, competing successfully up to BE100. In Oct 2016, JJ impressed the SPSS grading judges with his attitude & type as well as his outstanding jumping technique to become the 2016 Supreme Stallion Grading Champion. 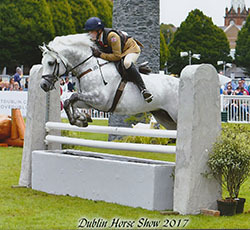 In 2017, JJ was chosen to compete as part of the British team in the International Connemara Performance Hunter class at the Dublin Horse Show where they were 2nd before the team went on to win at Clifden. Now based in West Sussex, we are excited to campaign JJ as an open M&M WHP with his new jockey, as well as continuing his eventing career which he loves." JJ’s first British foals were born in 2017, and continue to delight their breeders and owners. In Ireland his oldest offspring are 8 years old and are highly sought after with top price paid for a youngster at 2016 Goresbridge Sales.